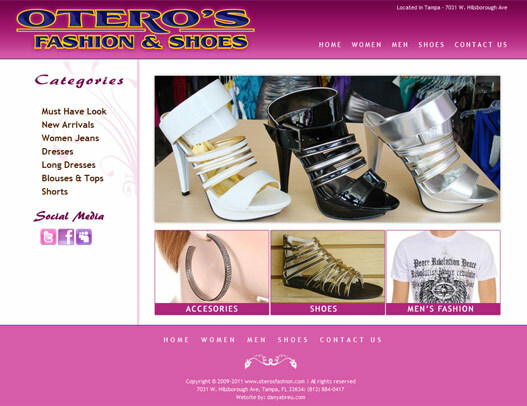 Otero's Fashions & Shoes is a fashion store with the latest fashion for women and men's. Otero's Fashion has been a destination for those seeking a boutique where the selection is inspired. Otero's Fashion is located in Tampa Florida, on W. Hillsborough Ave.
Dany Abreu Web Design, Development & SEO Portfolio. Serving the Tampa Bay community and Town 'N' Country.